The Nationwide Foundation was established by Nationwide Building Society in 1997 as a fully independent charitable foundation. We are grateful to Nationwide for its donations and support of us, as well as its respect that we make our own strategic decisions. The Nationwide Foundation was established by Nationwide Building Society in 1997 as an independent charity and company limited by guarantee. The Nationwide Foundation is a separate legal entity from Nationwide and is not part of the Nationwide Group. Nationwide is our main benefactor and it makes annual lump sum donations to us of 0.25% of its pre-tax profit. This is part of the one percent that Nationwide agreed to donate to charitable causes in April 2008: the remainder is used by Nationwide’s Social Investment team. In addition to the annual donation, Nationwide also supports us through in-kind donations of office space and equipment. Decisions about what we fund are made by our board of trustees, which is independent of Nationwide. Nationwide respects our right to create our own strategy to tackle social issues. Up to three of our trustees are appointed by Nationwide and are employees of the Society. More information about our governance. From November 1997, all new customers of the Society assign to the Foundation their rights to any future conversion benefits in the unlikely event of a conversion or take-over of the Society. For more information visit the Charitable Assignment page. 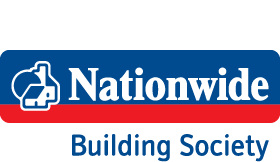 Q: What is the charitable assignment that Nationwide Building Society customers make to the Nationwide Foundation? A: From 3 November 1997, all new customers of the Society have agreed to assign to the Foundation their rights to any future conversion benefits upon opening an account or mortgage with the Society. Existing members may also choose to assign such rights to the Foundation. Therefore, in the unlikely event of a conversion or take-over of the Society, any windfall benefits, which would otherwise be received by members, would pass to the Foundation under assignment and would form a fund to support future charitable giving. Q: Who funds the Foundation? A: It is funded mainly by contributions from Nationwide Building Society which has formally agreed to support the Foundation in its day-to-day activities and annually makes a donation to the charity. As of April 2008, the Society agreed to give 1% of its pre-tax profits to charitable causes and the Foundation receives 0.25% of this. The remainder is distributed to charitable causes by the Society’s Social Investment team. Q: Can Nationwide's customers specify the causes which the Foundation supports? A: The board makes funding decisions very carefully taking into consideration charitable need in the UK. Q: Can customers specify the causes to which any potential windfall benefits may be distributed?